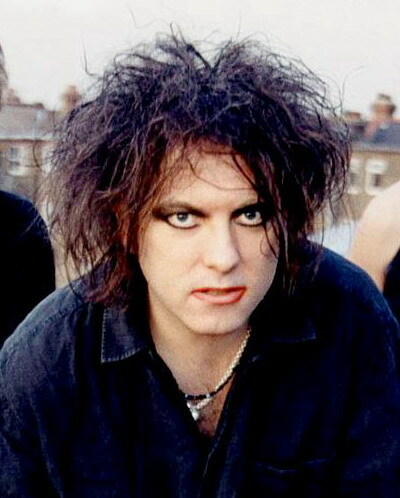 Robert James Smith (born 21 April 1959) is an English musician. He is the lead singer, guitar player and principal songwriter of the rock band The Cure, and its only constant member since its formation in 1976. NY Rock describes him as "pop culture's unkempt poster child of doom and gloom," and asserts that some of his songs are a "somber introspection over lush, brooding guitars." 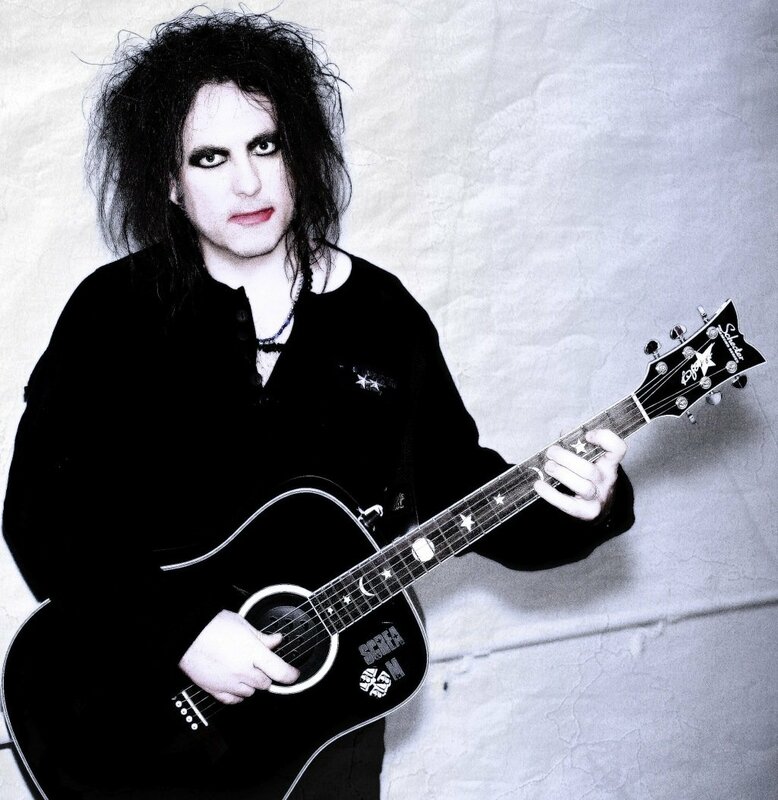 Smith's guitar-playing and use of flanging, chorusing and phasing effects put him among the forefront of the goth and New Wave genres. He also played guitar in the band Siouxsie and the Banshees. Smith is a multi-instrumentalist, known for his unique stage look, such as teased hair and smudged makeup, and his distinctive voice. Smith began sporting his trademark and cult style of smeared red lipstick, eye-liner, pale complexion, artfully dishevelled black hair, black clothes and trainers in the early 1980s, around the same time as the Goth subculture took off. However, Smith denies any credit for this trend and claims it is a coincidence that the styles are similar, stating that he wore make-up since he was young and further saying: "It's so pitiful when 'Goth' is still tagged onto the name The Cure." His songwriting for the band's early albums centered around themes of depression, loneliness, and isolation. The sombre mood of these early albums, along with Smith's on-stage persona, cemented the band's "gothic" image. "At the time we wrote Disintegration ... it's just about what I was doing really, how I felt. But I'm not like that all the time. That's the difficulty of writing songs that are a bit depressing. People think you're like that all the time, but I don't think that. I just usually write when I'm depressed." Smith's songwriting has developed a range of styles and themes throughout his career. Some songs incorporate literary paraphrase, such as Camus' novel L'Etranger in "Killing an Arab" (1978)), and "How Beautiful You Are" (1987), based on a poem by Baudelaire. Others involve punk metafiction ("So What"), surrealism ("Accuracy"), straightforward rock/pop ("Boys Don't Cry", "I'm Cold"), and poetic mood pieces ("Another Day" and "Fire in Cairo"). In subsequent decades, Smith explored more poetic moods, which accorded with New Order and other bands of that genre. Smith's songwriting has sometimes been pop-oriented, for example "Love Cats" and "Catch". However, even Smith's seemingly upbeat tunes invariably contain dark themes; for example, "In Between Days" contrasts a bouncy pop-rock beat with lyrics about sadness and heartbreak. 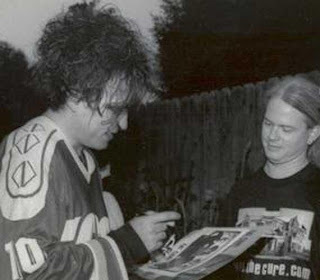 Although Smith is the main songwriter with The Cure, songwriting credits are usually shared with the band's contemporary line-up. 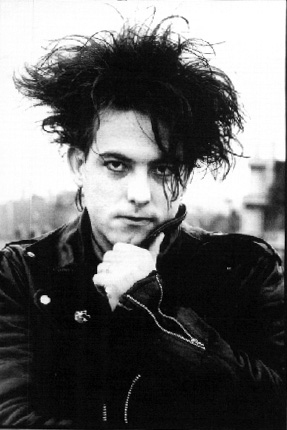 In an interview in 2000, Smith said that "there is one particular kind of music, an atmospheric type of music, that I enjoy making with The Cure. I enjoy it a lot more than any other kind of sound". When Smith was asked about the 'sound' of his songwriting, Smith said that he did not "think there is such a thing as a typical Cure sound. 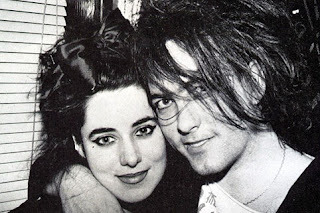 I think there are various Cure sounds from different periods and different line-ups."